Join our new hotel in Tanzania! Melia Arusha. 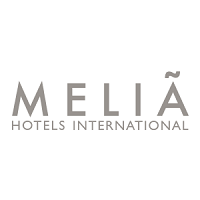 At Meliá, we’re passionate about service and exceeding our customer’s expectations with every sensation, every conversation and every detail. We are looking for a Food and Beverage Manager responsible for 7 dining outlets! Your main mission will be to organize and supervise all Food and Beverage areas, in order to achieve the department’s economic, operational and quality objectives, as well as ensuring quality indices, work environment and the development of your team members. You will be responsible for ensuring that each food and beverage outlet is managed successfully as an independent profit center. • Minimum 3 years’ experience as F&B Manager at 5* hotels. • Previous experience F&B operations in similar destinations will be highly valued. • High level of English. • Skills: Leadership, communication, analytical thinking. • Customer oriented and creative. • Supervises overall activities in the department. • Supervises and delegates duties to supervisors and prepares work schedule for them. • Develops weekly staffing schedules, monitors staff attendance, schedules holidays and vacations. • Supervises all sections and improvements in operation where he finds opportunities to develop service standard. • Plans and organizes departmental periodical training sessions for staff of courtesy, efficiency and job knowledge (specially for new staff). • Keeps knowledge/information of any change in house policy and procedure and enforce them from time to time when necessary. • Ensures good communication and cooperation between front office department and other departments. • Responsible for rooms control and rate restriction. • Controls expenses of front office department. • Responsible for front office staff recruitment. • Maintains a personalized service standard of the reception by constant training and motivation of the staff. • Blocks special VIP room. Requests and personally checks them before arrive of the guest to ensure that all are in order. • Personally welcomes VIP guests and allocates rooms and coordinates with supervisor for proper VIP follow up. • Makes sure that the service of the front office is prompt and attentive at all times. • Personally resolves any problem a guest may face during his stay in the hotel or endeavors to provide the maximum service possible always with a margin for flexibility. • Conducts regular inspections of areas directly under his control. • Meets regularly with supervisors in order to convey all necessary information, concerning events taking. Place in the hotel, memoranda received, transfers and training procedures or instruction from higher management. • Meets on a monthly basis with all staff in his department in order to convey information and to discuss technical queries and to solve any problems employees may encounter. • Communicates to management concerned, movement of VIP guests and other guest comments. • Coordinates with the training department to implement training plans. • To be considered for this role you should ideally have a degree in hospitality. • At least 5+ years’ experience in Front Office Operations in 5 star international chains and with at least 3 years holding a similar role. • Have excellent communication and leadership skills. • He or She will be highly motivated, have a passion for providing a luxury experience for all our staff, be solution oriented and be able to inspire creativity at all levels.